Rapidly inspect parts to ensure accuracy and control quality. COPYRIGHT © 2012 FABRICATION CONCEPTS INC. ALL RIGHTS RESERVED. 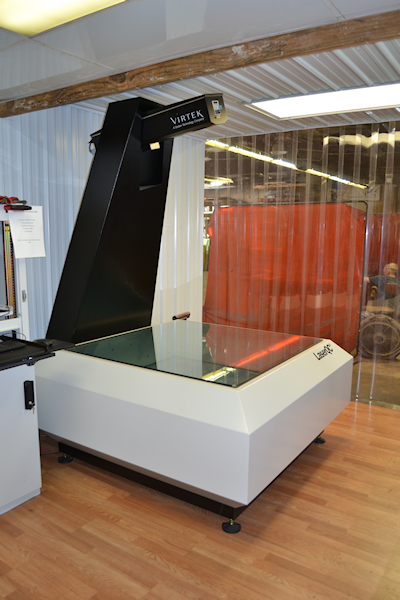 Virtek LaserQC is designed for the manufacturing environment. It verifies system calibration before each scan to ensure repeatable accuracy. By pinpointing errors immediately on the shop floor, you reduce scrap and rework and improve profitability. Virtek LaserQC captures more than 500 data points per second and is accurate to within 0.05mm (0.002 inches). In addition, it automatically generates quality control reports that instill customer confidence.